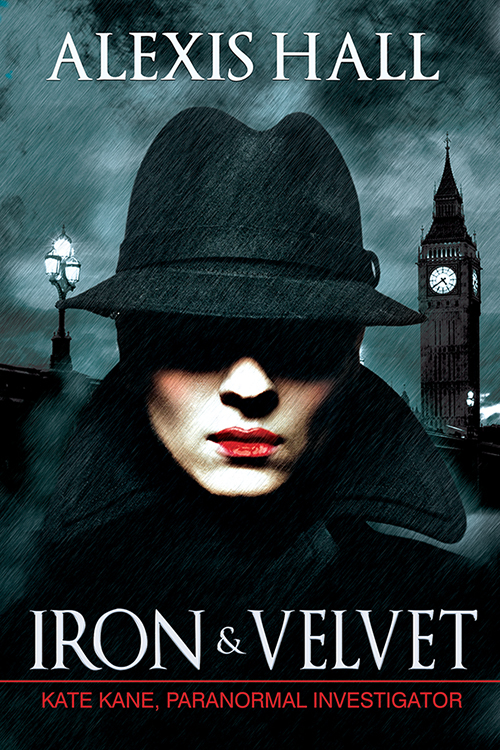 I’d been waiting for IRON & VELVET since Riptide shared the cover and blurb on Twitter. A lesbian private investigator who deals with the paranormal? Yes please! So when it came up for grabs on NetGalley, I grabbed. And boy am I glad I did. The story follows PI Kate Kane and her voice is one of the most unique I’ve read in ages. A few pages in, and I was in love. A few more and I wanted to have the book’s babies. The cast of characters is rich, from love interest Julian, who’s a vampire prince, to Kate’s ex-boyfriend Patrick, who is such a hysterical pastiche of Edward Cullen I giggled through every scene he was in. Kate is called in to investigate the death of a werewolf outside the Vampire Prince’s nightclub. She’s carrying the ghost of her business partner and doesn’t want to get involved. But the price is right and Kate’s not exactly overwhelmed with work. However, the more she digs into the murder, the odder things get. And the more she’s drawn into a relationship with Julian. I’m not going to give much more away, because I don’t want to spoil readers, but the worldbuilding is solid, with enough real world detail to really capture your imagination. Each character snaps off the page. There are vampires and werewolves, fairies and witches… and an animated statue. Seriously. In short, IRON & VELVET stands as one of the best books I’ve read this year – five stars is the maximum I’m allowed to give it – and I’m jonesing for the next installment. Completely agree, this is a fantastic read!